Most poker games can be played with a variety of different betting structures. See below for examples of the different poker betting variations. No Limit is the most popular and common betting format. It is most often used during the ever-popular Texas Hold'em format of poker. The rules of No Limit are such that there is no limit to how much any player can bet during any betting round. So you can bet any and all of your chips at any time! The minimum bet amount may change depending on the stakes of the game. 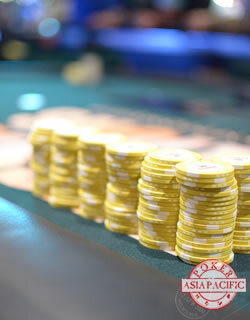 Fixed Limit is most often used during mixed game poker and is quite often the way draw games and stud games are played. This format of betting sees a fixed bet amount applied for each street of action, with the amount predetermined according to the stakes of the game. The bet amounts often change depending on the betting round during a specific hand. Pot Limit is somewhat of a middle ground between the action hungry no limit format and the slower fixed limit format. Just as the name suggests, a pot limit game features betting where the maximum bet amount is the current size of the pot. Sometimes games feature a mixture of pot limit and no limit, using pot limit rules preflop and no limit rules once a flop has been dealt. Spread Limit is a less common betting format which sees the betting structure allow players to bet and raise any amount within a predetermined specific range. Like Fixed Limit games, the betting range may change and increase during later betting rounds. Cap Limit sees a game have a predetermined overall betting cap. When this cap is reached the betting is stopped, no matter on which betting round the cap was reached. This means if the cap is set at $50, then once the pot reaches $50 there will be no more betting and if cards remain to be dealt then they will be dealt out with no further action.